Faustin-Élie Soulouque (c. 1782–1867), born a slave in Haiti, participated in the revolt that expelled the French from that country in 1803. He was named president in 1847, proclaimed himself emperor in 1849, and ruled for ten years. 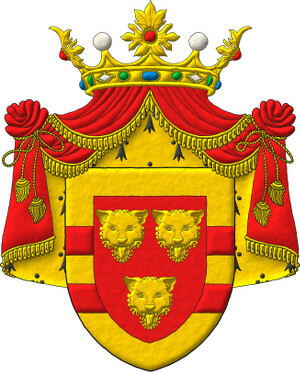 Faustin I successfully created a Haitian nobility with traditional Napoleontic-style titles, and he instituted four monarchical orders designed to promote loyalty to himself within the country’s military and elite families. 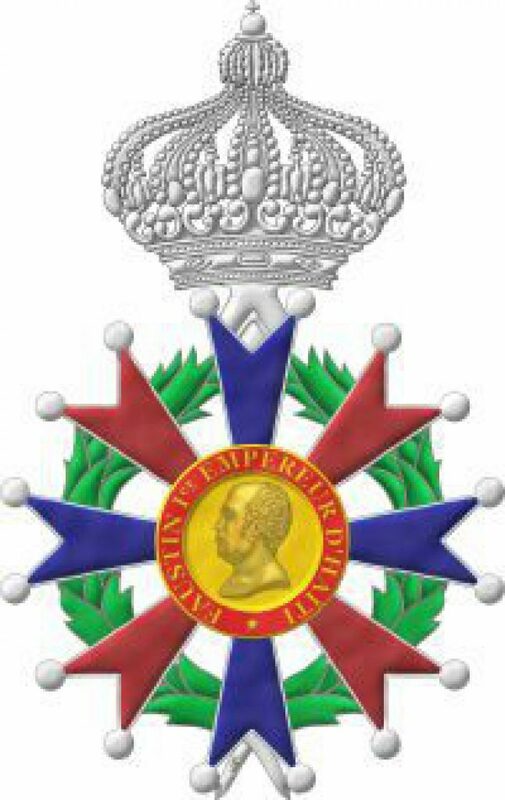 Faustin I created the Imperial and Military Order of St Faustin and the Imperial Civil Order of the Legion of Honour on 21 September 1849 and of the united Orders of St Mary Magdalen and St Anne 31 March 1856, all in three classes. These dormant imperial Orders of Merit have recently been revived as Orders of Honour by the heir presumptive of the Imperial House. They are conferred on a private, dynastic basis and reflect a historical tradition, instead of a political purpose. The focus of the Imperial Orders of Honour is to form an international confraternity, based on the principles of liberté, égalité, fraternité. Members of the Orders focus on networking with heads of governments, royalty and powerful economic influencers in order to achieve the Orders’ goals. Membership of one of the Orders is by invite only and applicants must be recommended by two present members. As Honorary Orders, the Imperial Orders have been able to maintain the Christian values, and, traditionally, most of its members have been drawn from the intellectual classes of the Christian world. They can be described as Christians characterised by a nobility of spirit, which manifests itself in their altruistic conduct. All Members must be characterised by the qualities inseparable from Christian values. That is to say that they must be distinguished by special virtues. The Orders have preserved their traditional moral values, including the spirit of service, self-sacrifice and discipline, which continues to be a hallmark of Members in the modern world. The Institute’s legal entity is a Swiss Verein, seated in Zurich, which administrates the Orders. Recipients of honours are not members of the Verein and cannot represent the Verein. The copyrights of the representations on this website are registered at the United States Copyright Office, no. TX 8-570-697. The British Museum, in association with the The Asahi Shimbun newspaper, presents: A revolutionary legacy: Haiti and Toussaint Louverture.